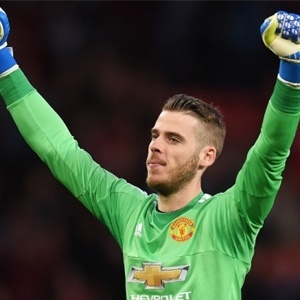 Cape Town - Goalkeeper David De Gea is proud of his performances so far this season and says it is a dream come true to play for a club of Manchester United's stature. The Red Devils defence has been in imperious form in the Premier League, keeping three consecutive clean sheets to start their campaign with a trio of comfortable victories. De Gea has been key at the business end of the defence and revealed that he is relishing the chance to play for a top club like Manchester United. "Of course, you feel really proud when people think this about you," the Spaniard told MUTV when asked about the praise he has received. "It’s really good, but I like to keep my focus, keep working hard and doing my best. To be fair, when you are really young, you don’t think about the future too much, you just want to play with your friends. "When you get older, you start to dream about being there, about being at a top team, so of course it’s a dream to be at a team like Manchester United."